The Kiwiversity software is designed to manage your school for you. Once your school data is entered in the system, such as student information, tuition payments, and student hours, Kiwiversity will manage everything for you and generate solid, accurate, and easy-to-read Excel or PDF reports to help you make the best decisions for your school. Kiwiversity also incorporates a reporting dashboard to generate online, Excel or PDF reports. 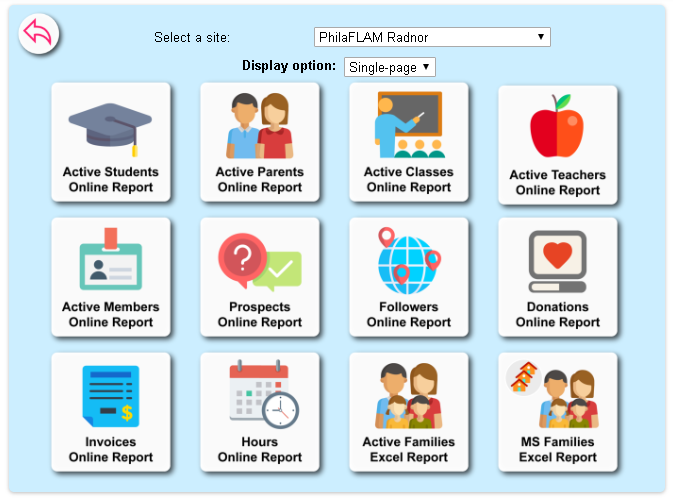 These reporting tools will allow to quickly visualize and analyze the school data. It will also help administrators getting new insights from diverse business data. It’s all about the Reports. Kiwiversity is also equipped with a reporting module that allows for generating online reports to meet the needs of the different users of the system. These reports are very comprehensive and provide analytics that can help administrators to learn more about how the school is performing and help them to create plans for the future. With an increased automation, paperwork is almost eliminated from the day-to-day work process.